1. To help applicants make their course choices when applying for admission in the 2019 University Admissions Exercise, we are providing information in the following areas. The information is to be used as a guide only. Table 1 : Representative grade profiles1 of the 10th and 90th percentiles of applicants holding Singapore-Cambridge GCE A-Level qualifications who were offered places in the 2018 University Admissions Exercise. The grade profiles refer to the grades in the 3 H2 and 1 H1 content-based subjects. For the purpose of this exercise, Grade “C” is assumed for both General Paper (GP) and Project Work (PW) in determining the grade profiles. Certain courses may require grades higher than “C” grade for GP. Table 2 : Representative Polytechnic Grade Point Averages (GPAs) of the 10th and 90th percentiles of Polytechnic2 applicants who were offered places in the 2018 University Admissions Exercise. 2. Applicants can expect competition to be keener for courses with more stringent grade requirements, fewer places and higher quality of the applicant pool. The grade profiles, GPAs and number of course places vary from year to year, depending on the number and grade performance of applicants, and the number of places available for each degree programme. Meeting the previous year’s grade profiles of a course does not guarantee admission into that course for the current year. 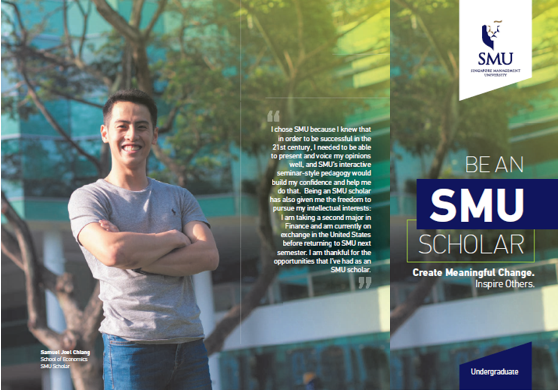 In particular, SMU adopts a holistic selection process, whereby in addition to academic grades and cocurricular activity (CCA) records, shortlisted applicants are also assessed by their performances at the interview. For some courses, an essay writing for shortlisted applicants is also conducted. The grade profiles do not take into account offers that were made under the Discretionary Admissions Framework. 1These provide an indication of the grade profiles of Singapore-Cambridge GCE A-Level applicants offered places in the previous year. There could be other “equivalent” profiles for each course. For example, a grade profile of ABC/C could be considered to be broadly equivalent to BBB/C. 2This refers to applicants from the 5 Polytechnic Institutions in Singapore - Nanyang Polytechnic, Ngee Ann Polytechnic, Republic Polytechnic, Singapore Polytechnic and Temasek Polytechnic. # No indicative GPA is shown as the sample size is small. The number of course places is subject to change from year to year. Q1 What is the objective of this exercise? A1 The objective of this exercise is to give applicants an insight on the qualifying grade profiles in the 2018 Admissions Exercise for the different degree programmes. It serves as a guide to help them make informed choices when applying for admission to these programmes in the 2019 Admissions Exercise. Q2 What do the representative grade profiles for GCE A-Levels mean? A2 The representative grade profiles refer to the 3 H2 and 1 H1 content-based subject grades (excluding GP/KI/Project Work/Mother Tongue Language) in the Singapore-Cambridge GCE A-Level examinations scored by applicants who have been offered places in SMU. For the purpose of this exercise, Grade “C” is assumed for both General Paper (GP) and Project Work (PW) in determining the grade profiles. Certain courses may require GP grades of higher than “C” grade. Q3 What do the representative grade profiles for Polytechnics mean? 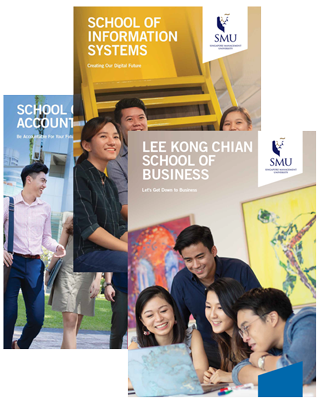 A3 The representative grade profiles refer to the Grade Point Average (GPA) scored by applicants from the five Polytechnic institutions in Singapore who have been offered places in SMU. Q4 What do you mean by the 10th percentile and 90th percentile? A4 This can be best explained by using an example. For example, if the 10th percentile grade profile is ABC/A (3H2/1H1), it means that 90% of the applicants offered places score above ABC/A. If the 90th percentile grade is AAA/B, it means 10% of the successful applicants score above AAA/B. You can use the same reasoning to interpret the 10th percentile and 90th percentile for Polytechnic applicants. Q5 Does meeting the 2018 grade profiles mean I will automatically be granted admission in 2019? A5 Meeting the previous year’s grade profiles of a course does not guarantee admission into that course for the current year, as grade profiles vary from year to year. In particular, SMU adopts a holistic selection process, whereby in addition to academic grades and co-curricular activity records, shortlisted applicants are also assessed by their performances at the interviews. For some degree courses, an essay writing for shortlisted applicants is also conducted. Q6 Will the grade profiles and number of course places remain the same in future years? A6 The grade profiles and number of course places vary from year to year, depending on the number and grade performance of applicants, and the number of places available for each course. Q7 Is it possible for the universities to make available the grade profiles of earlier years? A7 From past experiences, grade profiles of the earlier years do not provide meaningful guidance information. Please refer to the latest grade profiles shown above. Q8 Does SMU intend to provide grade profiles for the IB Diploma and the NUS High School Diploma? A8 GCE A-Level and Polytechnic applicants form a much bigger pool and therefore, grade profiles for both groups provide useful information. For the purpose of this exercise, the IB pool and NUS High School pool, being smaller relative to the A-Level and Poly pools, may not provide an accurate picture of the grade profile to prospective applicants. As such, we have not included the grade profiles for both groups. Q9 How then will applicants with the IB Diploma or the NUS High School Diploma be assessed for admission? A9 Applicants with the IB Diploma or NUS High School Diploma will be assessed in the same way as those with GCE A-Level or Polytechnic Diplomas. Admission will be on a selective and competitive basis. 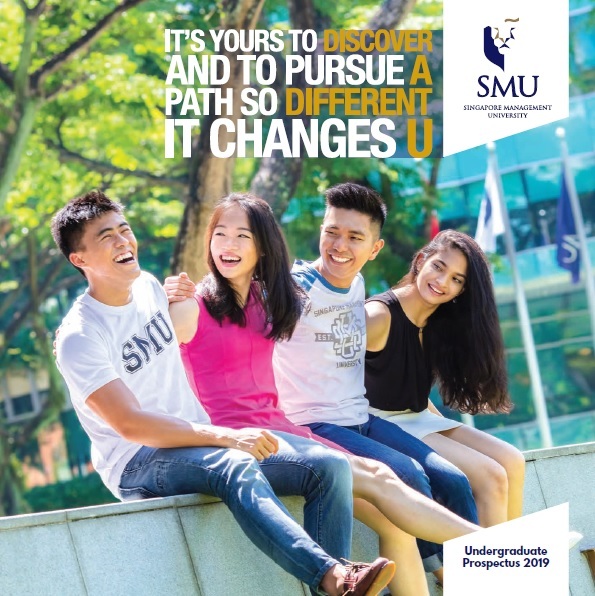 In particular, SMU adopts a holistic selection process, whereby in addition to academic grades and co-curricular activity records, shortlisted applicants are assessed by their performances at the interviews. For some degree courses, an essay writing for shortlisted applicants is also conducted.